What does an Arborists do? For The Certification – The qualifications to call yourself an ISA Certified Arborist are stringent. There is a heavy emphasis on schooling and field experience. All aspects of arboriculture are important. Full-time work and experience is needed for three or more years before the exam can be taken. Once certified, on-going education is required. In order to keep the certification valid. In the Field – Our arborist often performs tree trimming, tree removal, stump grinding, tree inspections, invasive species and disease management, fertilization and even tree planting. If it has to do with Arboriculture; the shoe fits our Minnesota Arborists! Code of Ethics – The International Society of Arboriculture ensures each Arborist is current and obeys a strict code of ethics. The ISA organization has done a fabulous job increasing accountability for the Tree Care Industry. That means, no more funny business. Because each Arborist can be found in their directory and held accountable… For every job they have completed as an ISA Certified Arborist. 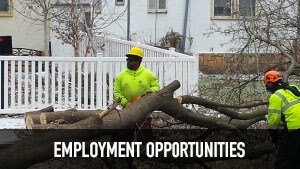 This entry was posted in Certified Arborist MN and tagged Arborist, Arborist Minnesota, MN Arborist, What does an Arborist do, What is an Arborist. Bookmark the permalink.